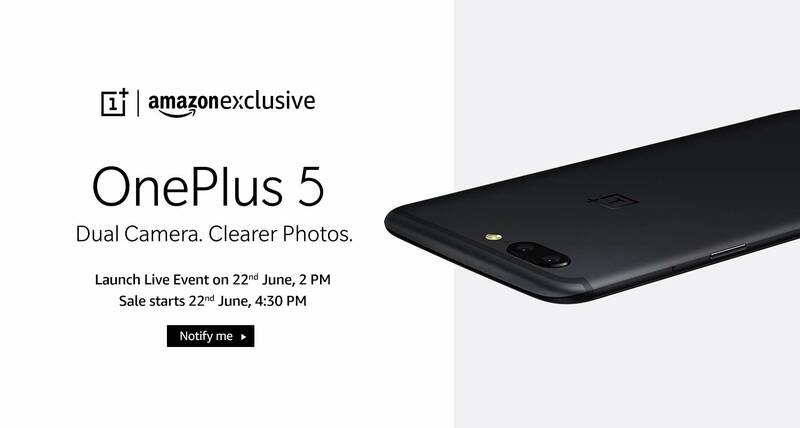 The OnePlus 5 mobile features a 5.5" (13.97 cm) display and runs on Android v7.0 (Nougat) operating system. The device is powered by a Octa core (2.45 GHz, Quad core, Kryo + 1.9 GHz, Quad core, Kryo) processor paired with 6 GB of RAM. As far as the battery is concerned it has 4000 mAh. Over that, as far as the rear camera is concerned this mobile has a 23 MP camera. The OnePlus 5 is rumoured to run Android 7.1 and be powered by a 4000mAh non removable battery. It is said to measure 152.70 x 74.70 x 0.00 (height x width x thickness) and weigh 7.00 grams. The OnePlus 5 tipped to be a dual SIM (GSM and GSM) smartphone that will accept Nano-SIM and Nano-SIM. Connectivity options are said to include Wi-Fi, GPS, Bluetooth, USB OTG, 3G and 4G. Sensors on the phone are rumoured to include Compass Magnetometer, Proximity sensor, Accelerometer, Ambient light sensor and Gyroscope. To Recieve updates and possible rewards for One Plus OnePlus 5 Midnight Black please sign in. To Recieve updates and possible rewards for Mobile & Smartphone please sign in.